The USA version of Circus has a slightly different track list. 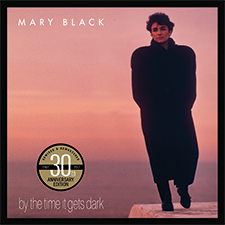 Mary Black's newest album continues in a subtle, understated vein that follows the spirit of its predecessor, The Holy Ground. There are no bloated arrangements or exaggerated vocal mannerisms to deliver an immediate rush. Instead, its emotional content and musical elegance drift slowly into your blood-stream, intoxicating you without making you aware that you're under their influence. That's not saying, of course, that the record lacks vitality or life. The first track clearly shows otherwise. The Circus is one of Noel Brazil's exquisitely lyrical songs rendered with the enthusiasm that reinforces my belief that Mary has a particularly strong affinity with this writer's work. Although it's a classic tale of love gone wrong her performance isn't world-weary or maudlin. It certainly leaves you feeling far happier than the song's abandoned subject. In A Dream provides both a dynamic and an emotional contrast, allowing Mary to voice sentiments of pure delight while the rhythm section shifts into a higher gear. Another of Noel Brazil's compositions, it shows that this gifted writer handles the lighter side of the human condition with the same dexterity he uses to portray its shadowy side. In the wrong hands Jimmy McCarthy's Wonder Child could easily become one of those simpering lollipops that makes you want to trash your stereo. Mary's treatment, however, imbues the song with an affection and honesty that renders it touching and poignant. Its rudimentary arrangement contrasts with the more muscular treatment the band gives to Soul Sister in which Mary's voice dances between breathy whispers and the full throated roar of an evangelising soul queen. Carl Geraghty's plaintive tenor sax adds an appropriate authenticating touch to this acetylene fuelled torch song. John Gorka's All That Hammering starts with a country feel but, unlike many songs of that ilk, it enjoys a lyrical deftness and perception that Mary exploits to the full. Afterwards, if you want proof that fusions of genres can work, Donegal Breeze shows that you can successfully blend elements of contemporary and roots music. A Stone's Throw From The Soul sees Mary revelling in Noel Brazil's second upbeat contribution. Her commitment to the song is mirrored by the band's playing, particularly Declan Sinnott's perfectly synchronised acoustic and electric guitar interjections. Free As Stone is one of those songs you can't put into any pigeon hole: it's essentially rootsy but what are that sitar drone and synth doing mixing in with a Celtic whistle? A less capable singer would certainly have trouble integrating with this hybrid arrangement. Roisin provides the final chance on this album to sample the Mary Black and Noel Brazil magic act. The chemistry really gels here with evocative Iyrics combining with an inspired delivery and a sumptuous arrangement. 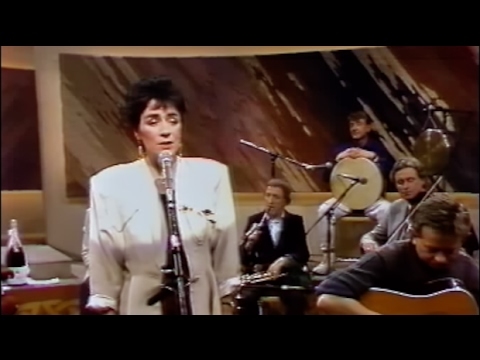 Again, you just know that nobody else could carry this song off as effectively as Mary Black and her band. Looking Forward and Gabriel are simply two beautifully crafted, uplifting songs that leave you feeling that God is in his heaven and everything in the world is okay. Raven In The Storm is an unexpectedly fiery live cut that closes the album with a vivid resonance of classic hard rock. If Mary was listening to her Walkman before this performance my money says she was plugged in to the Hendrix version of All Along The Watchtower or the Stones' Sympathy For The Devil. The song careers along at drag strip velocity, which ought to assure you that after six albums she still has the energy and enthusiasm that fired her up the day she first started singing. 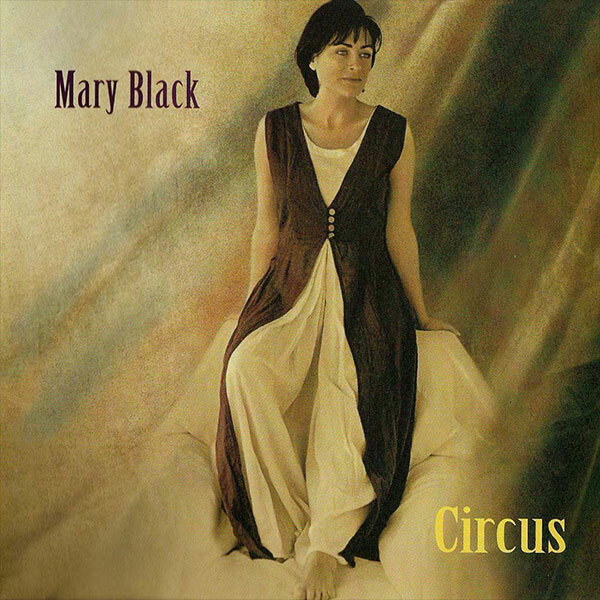 The bottom line is that, like the albums that preceded it, Circus firmly consolidates Mary Black's position as one of the most talented and exciting performers in contemporary music.